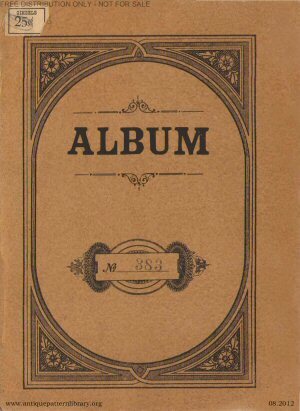 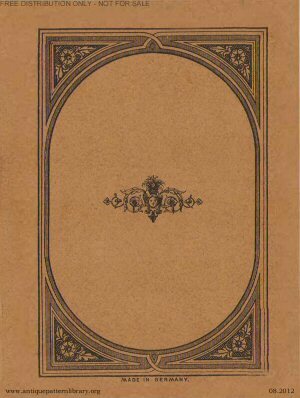 Germany, [c. 1850, reprinted for U.S. market c.1890], accordian foldout, 6 pgs. 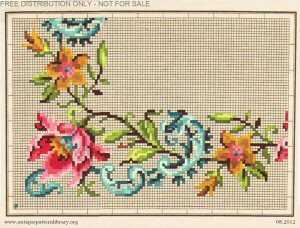 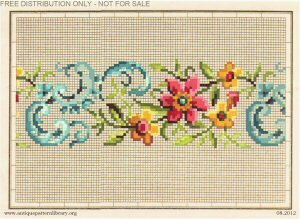 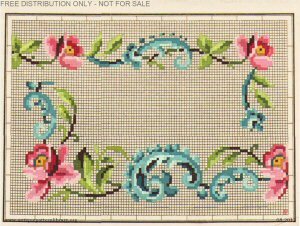 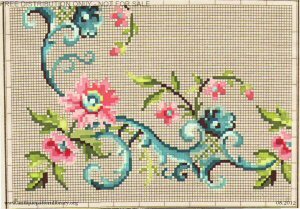 Charted multicolor designs for formal floral borders and corners. 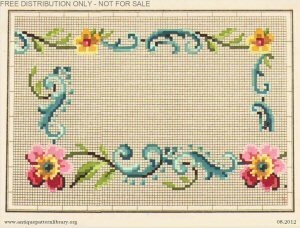 Suitable for cross-stitch, Berlin woolwork, needlepoint, or beading. 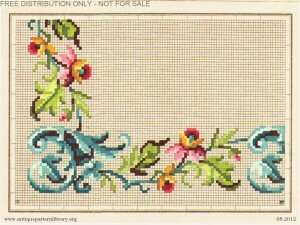 Scans donated by Ralph E. Griswold, reedited Judith Adele.